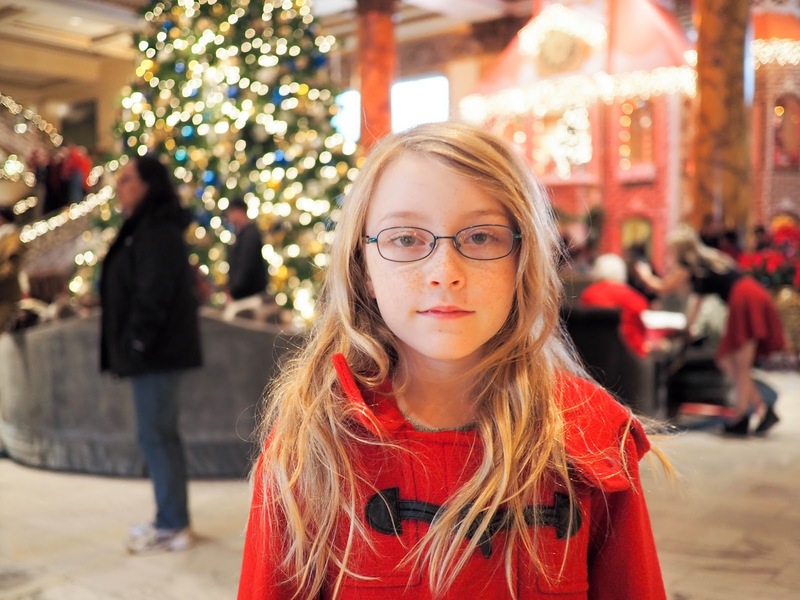 Last Sunday we spent the day in the city taking in the sights of Christmas. I always love how festive San Francisco feels at this time of year. 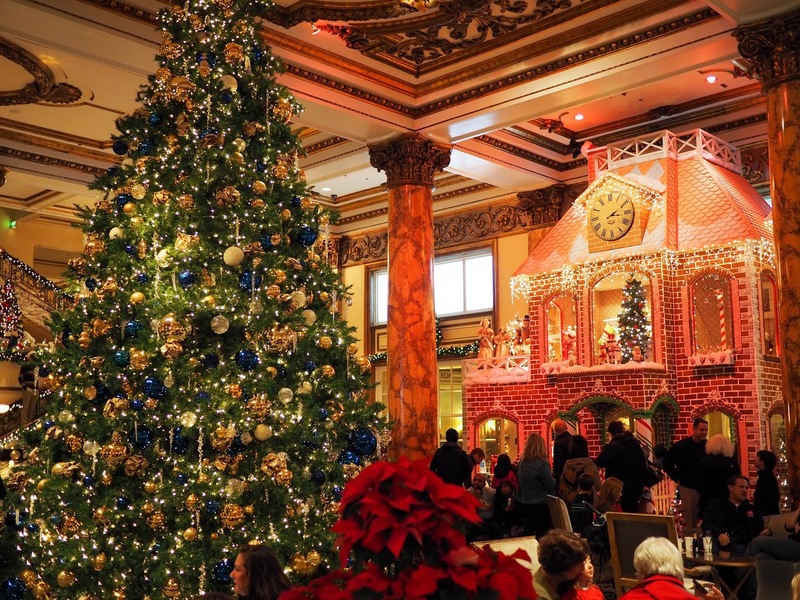 The city is filled with Christmas cheer with festive street lighting, Christmas trees, ice skating rinks, ornate decorations in windows and lobbies, and crowds of holiday shoppers and tourists. 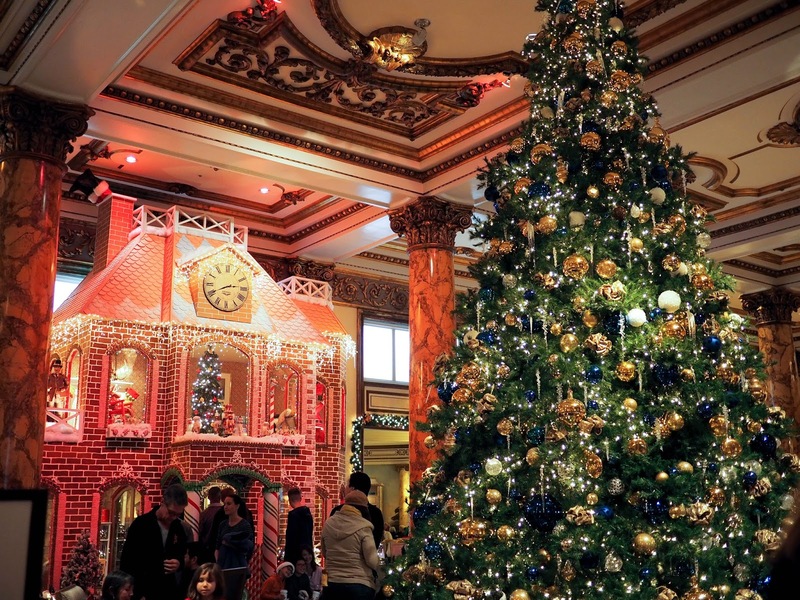 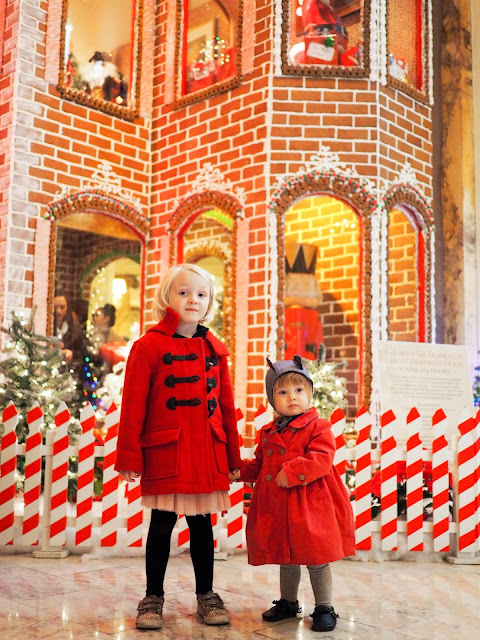 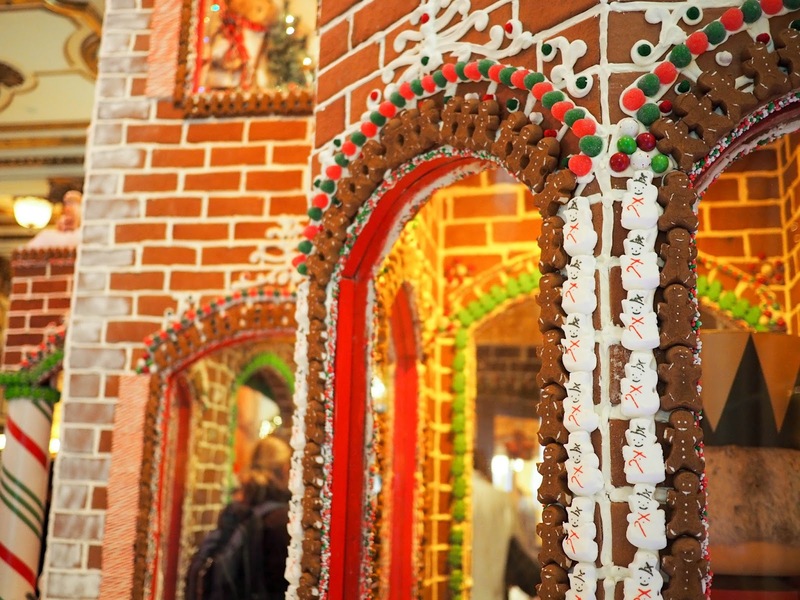 We made sure to visit all of our favorite holiday spots: the giant gingerbread house at the Fairmont Hotel, the sugar castle at the Westin St Francis, Union Square and, of course, Santa at Santaland in Macy's. 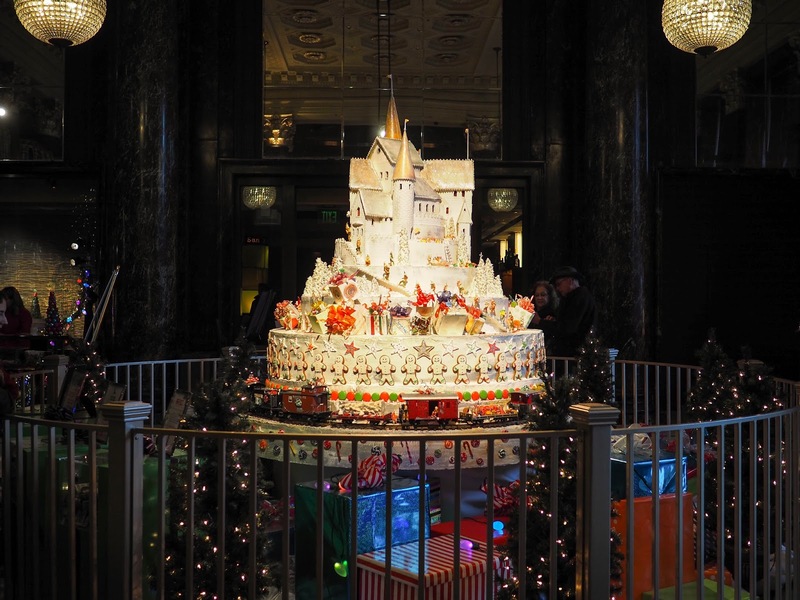 Our first stop for the day was the Fairmont Hotel at the top of Nob Hill to see the giant Gingerbread House. 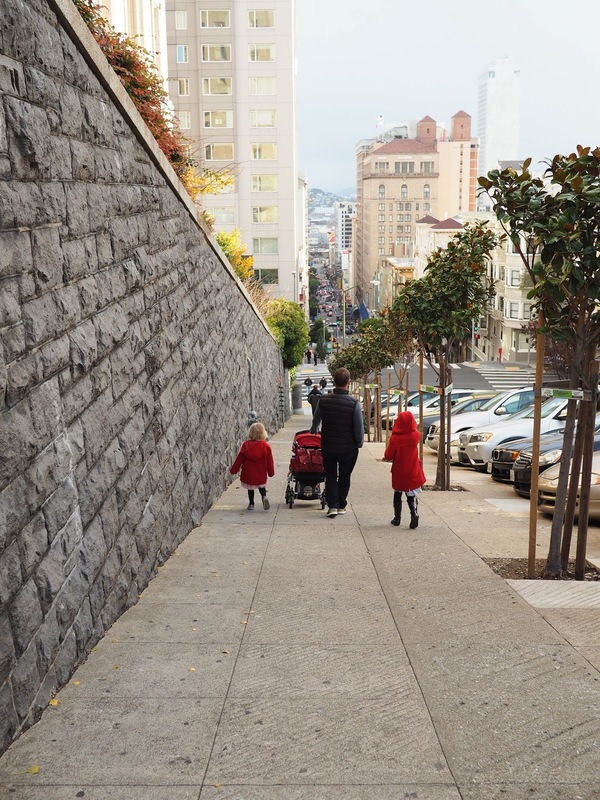 Usually we like to take the California Street cable car up Nob Hill but unfortunately it wasn't running so we had to take a bus instead. 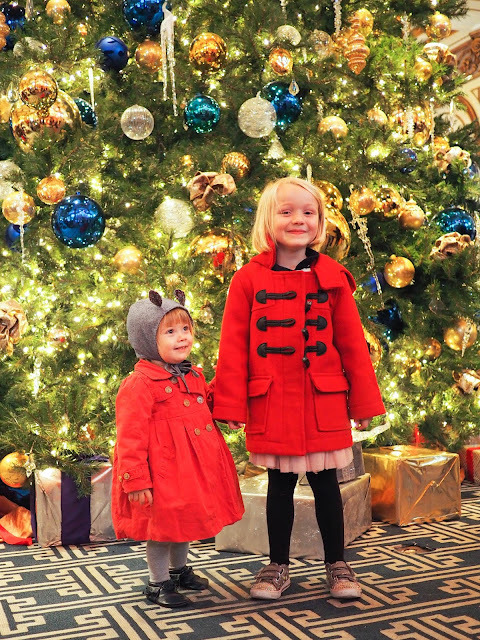 The girls had been pretty excited about catching the cable car. Ava loves to hang of the side of it. Of course, we could've walked, but have you seen that hill?! 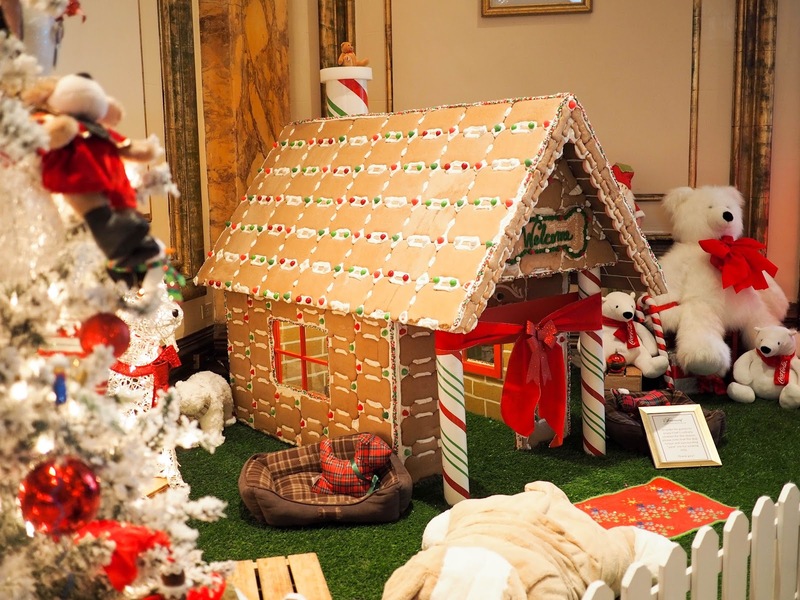 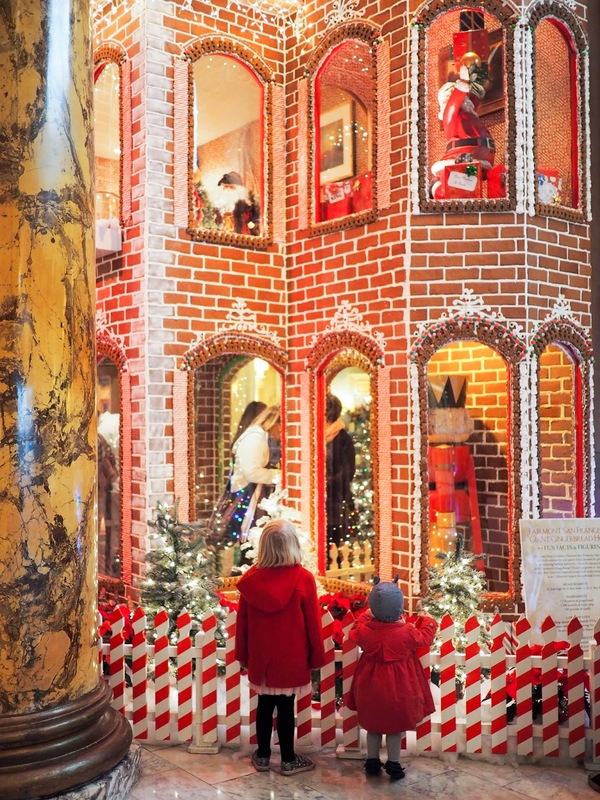 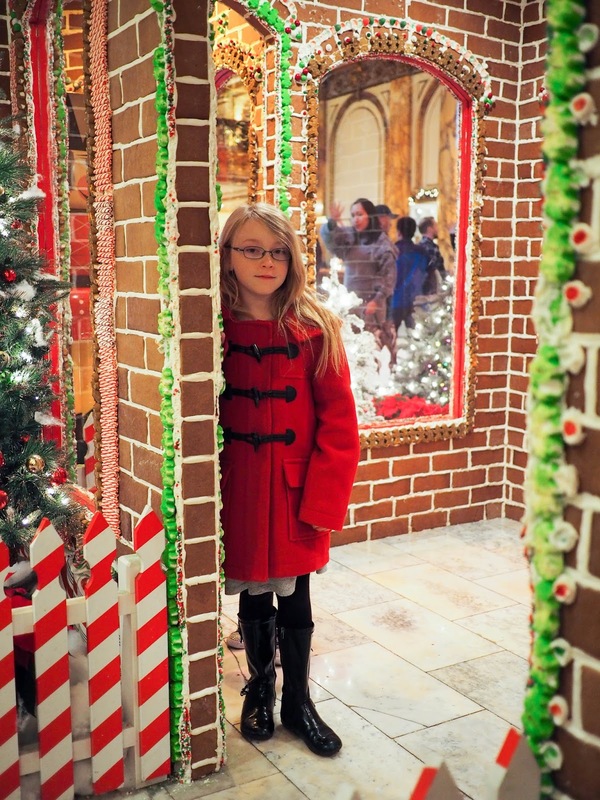 The giant gingerbread house at the Fairmont Hotel is always a big hit with the kids. 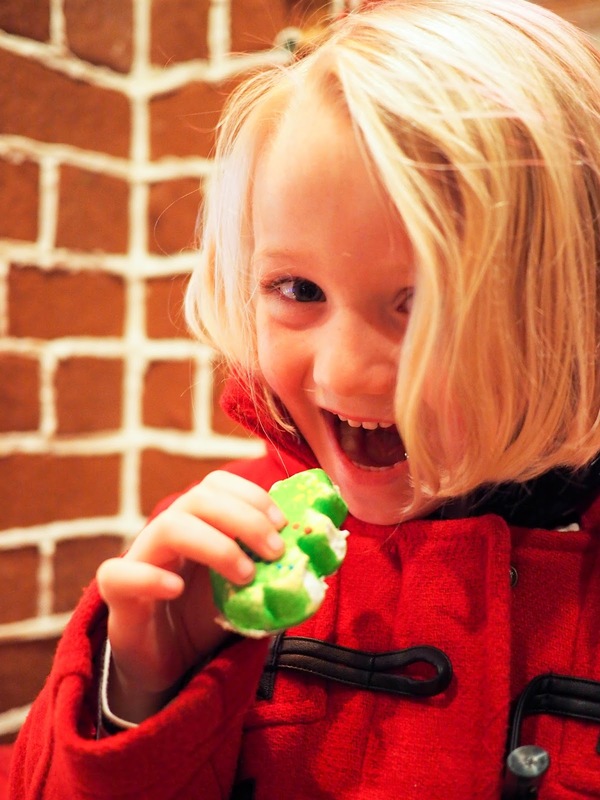 This year none of my kids attempted to eat any of it, which is a first! I had expected Mathilde to give it a try but I think she was just so in awe of everything around her that she forgot her obsession with sugary food! 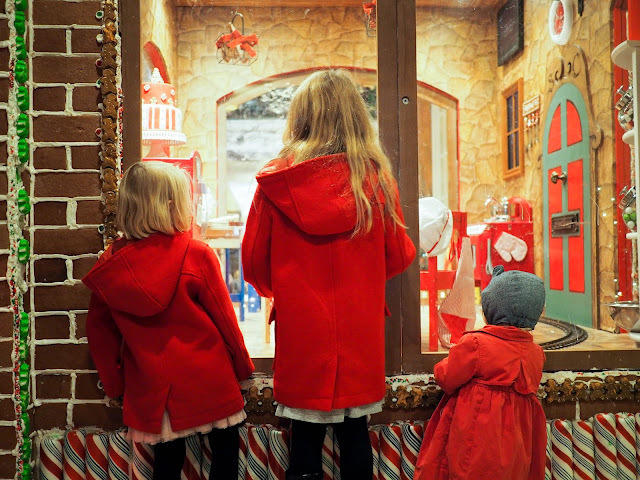 Even when I handed her and Lola marshmallows that had fallen off (and Lola pretended to take a bite) she still didn't try. 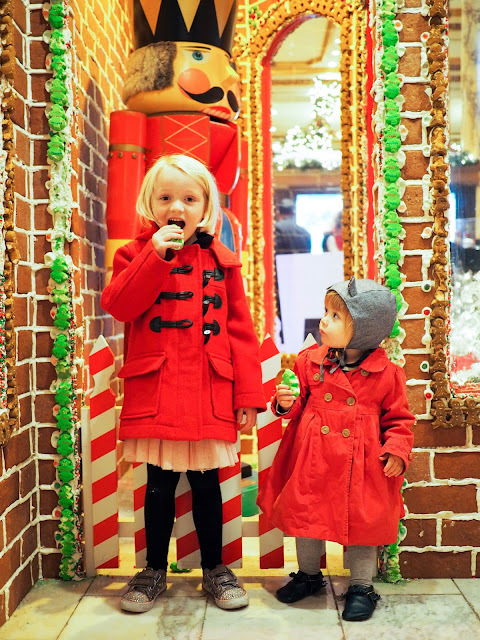 I guess she's not used to food being so big! 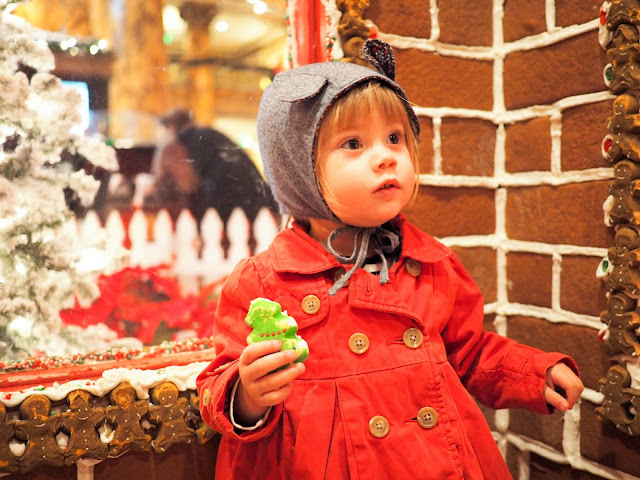 Mathilde was pretty excited to see the train that runs through the gingerbread house on its little track. Ava and Lola were happy to indulge their little "things that go" obsessed little sister and watch the train go round and round with her. 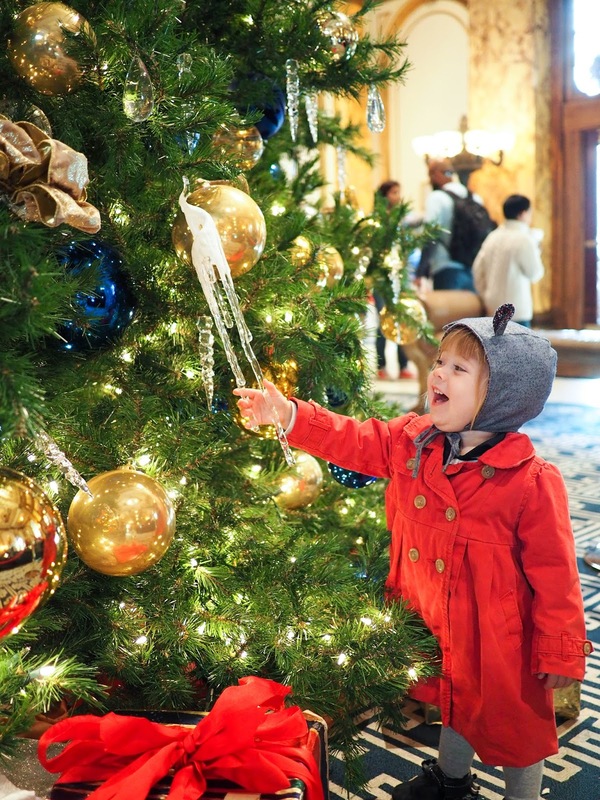 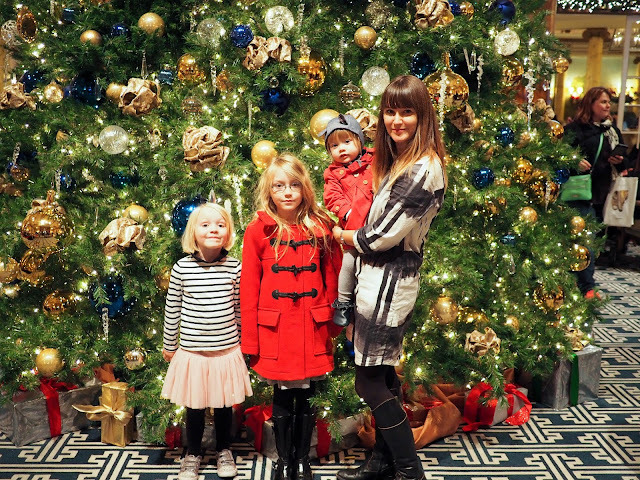 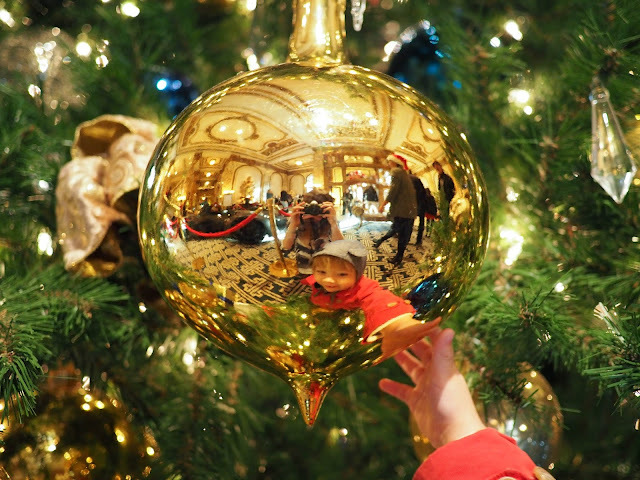 The huge Christmas tree that adorns the lobby of the Fairmont Hotel is also a favorite of the girls. 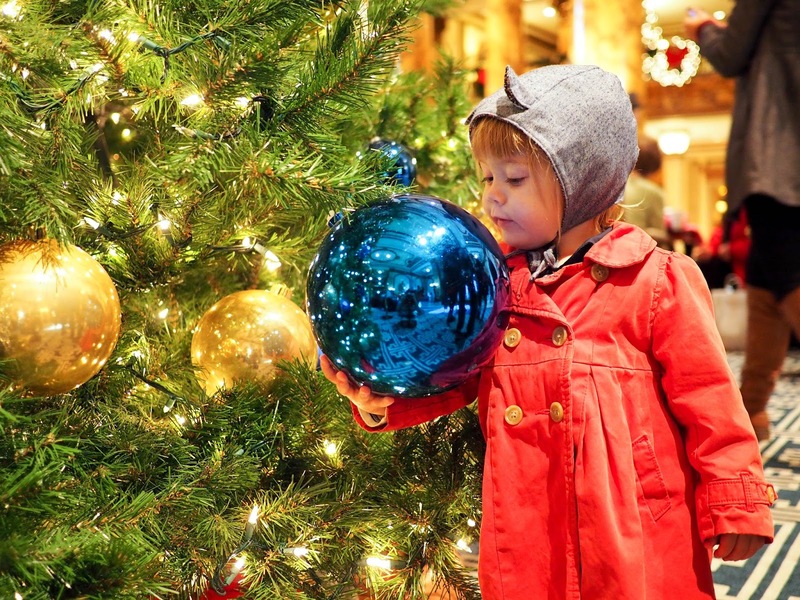 Mathilde couldn't get enough of the giant baubles, or "balls" as she called them. 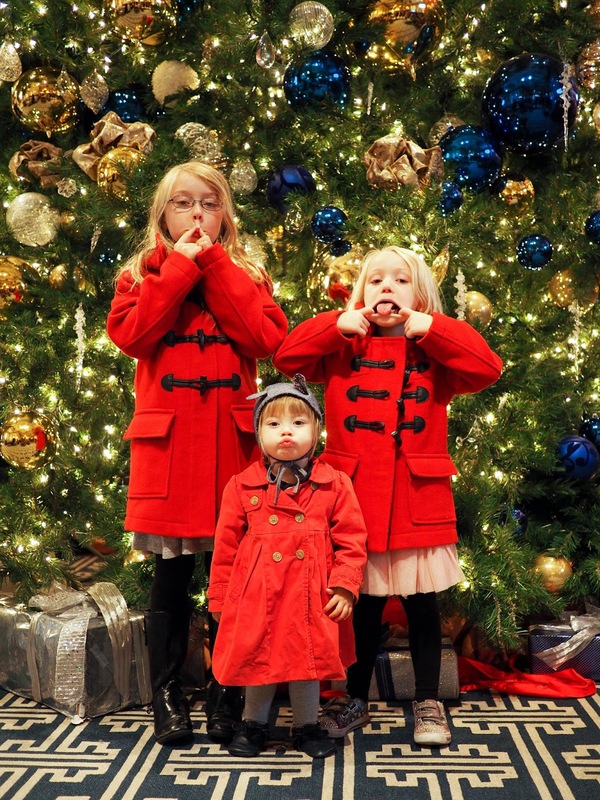 They are pretty spectacular. 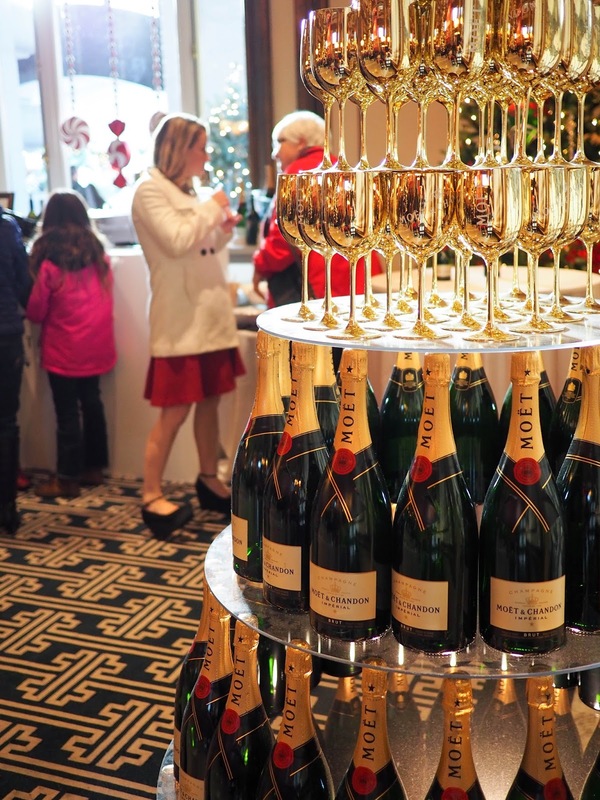 The champagne tree in the foyer was a nice touch too! From the Fairmont Hotel we walked down hill to Union Square for more Christmas fun. I love how steep the streets are in this part of the city. It never looks quite as steep in photos as it does in real life though. 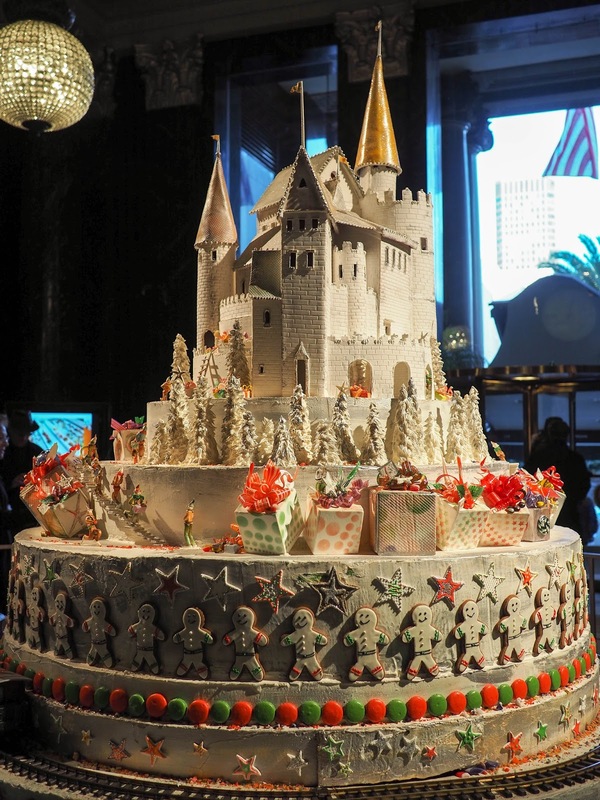 When we reached Union Square we stepped into the foyer of the Westin St Francis Hotel to see the sugar castle. 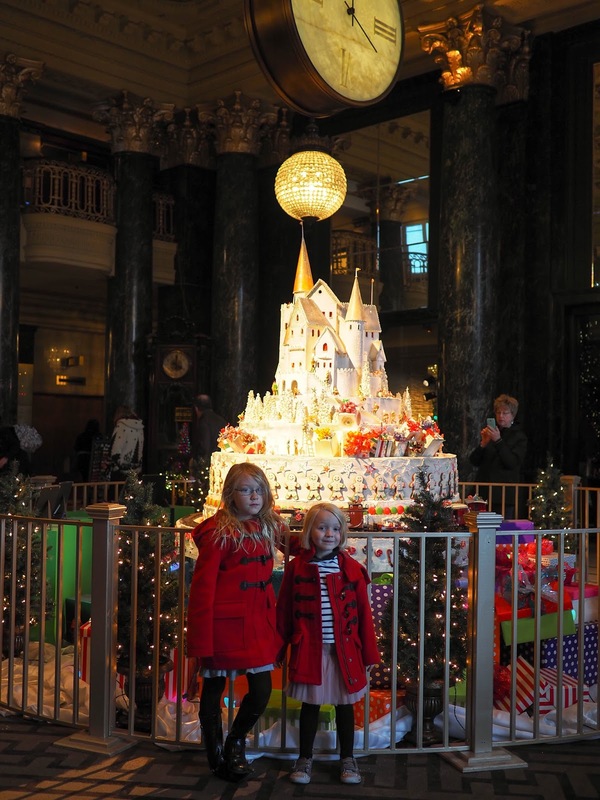 The girls were happy to see the castle back again this year. Last year's display featured a sugar tree which was pretty but not as intricate or interesting as the castle. 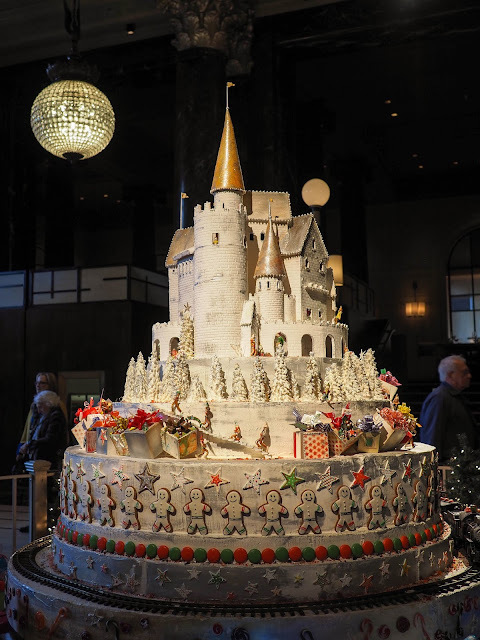 Imagine living in a castle made of sugar! More Christmas fun in the city coming up next including our visit with a certain jolly man!